Every woman wants full, thick, shiny hair, but nature sometimes has other plans. 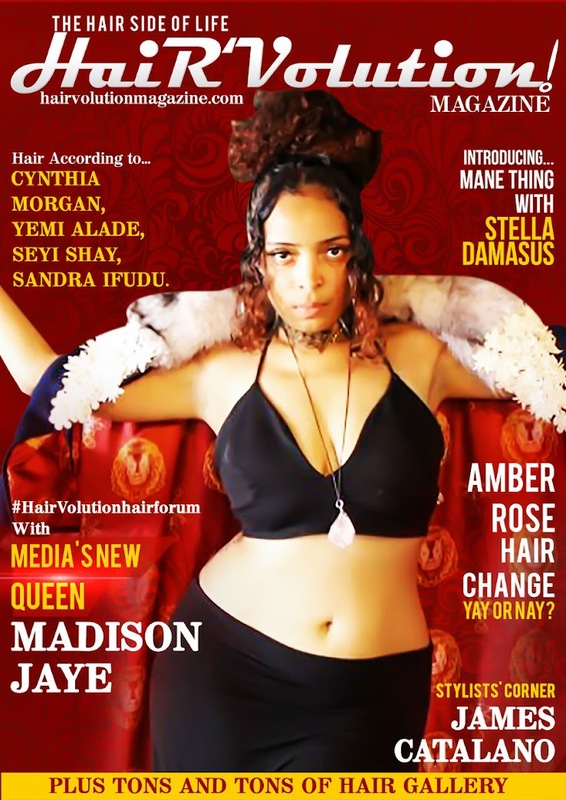 Actresses, singers, and models have been using hair extensions for years to augment their tresses, and as celebrity beauty secrets are more readily revealed in the Information Age, the use of extensions has filtered down to the general public. Some types of hair extensions are quite affordable, and thanks to modern technology, most look quite natural. In fact, the availability of hair extensions in the general market means that there is a glut of colours, lengths, textures, and styles to choose from. For many women, shopping for hair can be overwhelming and frustrating. Luckily, there are some easy ways to prepare oneself for the decision-making process. The following six do’s and don’ts will help buyers of hair extensions understand what to look for and how to make the best purchase. Many women think of hair extensions in one certain way: specifically, as loose wefts of hair that are attached to the scalp or the roots of the existing hair. However, the term “extensions” can sometimes apply to hairpieces as well as full hair extensions. Some of these pieces can be used to give a different look to the hair. As with a wig, wearing hair extensions in the same way day after day is a signal to everyone that the hair is not real. It is far better to plan on two or three different styles in advance so that the look of the hair can be changed up. Consider how a woman with naturally long hair might wear her hair: long and loose; in a ponytail on casual or sporty days; and maybe curled, in a low bun, or in a half-updo for a special occasion. Look for one or more pieces or sets of extensions that will allow these style variations to be achieved. If necessary, talk to a stylist about different options with different extension attachment methods. It may not be possible to wear a full updo with certain types of extensions, for example, but one definitely does not have to have the same look at all times. Colouring hair extensions is difficult, sometimes costly, and eventually leads to earlier deterioration of the hair. Colouring can only be carried out on human hair, and like one’s own head hair, the colouring chemicals damage the hair. Even worse, extensions are not constantly growing and renewing, so any damage done is permanent. Extensions last longer when they are not treated with additional chemicals, so if a change of hair colour is desired, it is best to do so before extensions are purchased. Have hair coloured professionally or at home, and then purchase extensions to match. There are always exceptions to rules, and in the case of colouring hair extensions, there are a few instances where it might make sense. One example is if the extensions have already been owned for quite some time. If one has gotten a great deal of useful life out of the extensions, there is probably little harm in dyeing them at this stage of the game. Also, certain hair colours (such as specific red tones, highlighting methods, or fantasy colours) may not be readily available in hair extensions, so this is when it makes sense to have extensions dyed to match after the fact. Getting the right length of hair extensions is important. Extensions are often sorted by length, but it is important to remember that this length is the length of the hair used to create the extensions, not the final length of the hair from the top of the head to the bottom edge of the hair. So where extensions may be advertised as being 15 inches long, they may appear longer than this when they are attached to the middle of the back of the head. Hair extensions may be cut, but remember that the longer the extensions, the higher the cost (each inch in length takes about two months to produce), so cutting them is sort of like chopping up pound notes. This may be worthwhile for a style change after one has the extensions for some time, but it is not good to cut them in the beginning. Take the time to get the right length in the first place. Hair extensions come in two basic varieties: human hair and synthetic. Human hair extensions are made of hair that is grown by men, women, and children in various countries; such hair most commonly comes from India and Southeast Asia, as well as Indonesia, Russia, Brazil, and Europe. Human hair may be collected in one of two ways: as individual hairs that are shed naturally in the growth cycle (fallen hair) or hair that is cut or shaved from a live human’s head (remy hair). Healthy human hair has an external overlapping cuticle, much like shingles on a roof. On a head, the cuticle lies downward from the root end. Because it is difficult and painstaking to sort each fallen hair and arrange it so that all of the cuticles lie in the same direction, fallen hair is chemically treated with acid to remove the cuticle and then coated with silicone to restore the shine. Because remy hair is taken in a bunch and bundled in ponytails, the cuticles are all kept in the same direction. Although the hair is processed, the cuticle remains. This results in the most natural-looking human hair wigs and extensions; however, these extensions are more costly. Synthetic extensions may be further subclassified as “heat-friendly” or “heat-resistant.” Regular synthetic extensions do not tolerate any heat, even from a hair dryer; heat will cause these to melt, frizz, or shrivel up. In fact, it is even important not to stand too close to a fire or a radiator for this reason. Buyers may also want to consider their own personal ethics in their choice between human hair and synthetic hair extensions. Some human hair is collected in questionable ways, so consumers who are concerned about how hair growers are treated should look into this before buying. Hair extensions come in straight, wavy, and curly textures, just like natural hair. This is not a hard-and-fast rule, but in general, it is not a good idea to get hair extensions in a texture that is noticeably different from one’s own texture. Certainly, if the hair is chemically permed or straightened, the extensions should match this texture and not the wearer’s natural hair. While a woman may be convinced that she is willing to spend time every day getting her own hair to match the extensions, this is very difficult to keep up with. Anyone who enjoys playing with her hair texture should instead invest in heat-friendly or heat-resistant synthetic extensions, or human hair extensions; these can be styled just like head hair with a hair dryer, flat iron, crimper, curling iron, or other hot tools. That means that the entire head of hair will all be of a uniform texture, whether or not it has been styled. Just be sure never to style regular synthetic extensions with heat, or they will be ruined. Hair extensions can be attached in different ways. For the long term, there are a few different options. Many times, the woman’s own hair is tightly braided into tracks, and then the wefts of hair are sewn to these tracks. This method, called weaving, lasts several weeks but is also time-consuming and costly. Some people also find this type of extensions uncomfortable, both during the application process and after, particularly when sleeping. Some extensions can be glued on or taped on, but care must be taken to keep these looking natural, particularly if they are applied to the top of the head. Although they are beautiful and can still sweep any man of his feet with their natural skin colors, more Nigerian women seem to be joining the bandwagon of female folks who use synthetic hair to embellish their beauty as days roll by. At least, 70 percent of Nigerian women prefer to use the artificial hair, which are also curly and multi-dimensional, said Rekiya Subair, leader of the Wuse 2 Market chapter of National Hair-braiders Association in Nigeria's capital city Abuja. "As hair braiders, we always prefer to use the artificial hair because it adds beauty to the work, to braiding or weaving of hair, " Subair said. "In the days of yore, we didn't use it. But nowadays, more ladies are opting for the synthetic hair because you cannot carry a hairstyle with your natural hair for a period of three to four weeks. Braided artificial hair can last up to six weeks before you un-braid it and it would still look very neat and nice," Subair said. According to the saying "looking good is serious business," women pay more to fix the synthetic hair on their heads than the cost of braiding a natural hair. 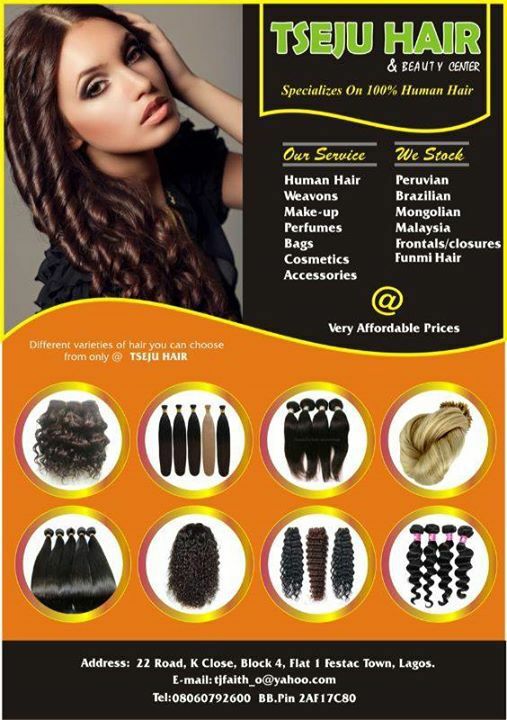 The lowest cost of fixing a synthetic hair, especially in Abuja, is about 20 U.S. dollars and many ladies from high society do not mind fixing their hair with 100 U.S. dollars or more, Subair disclosed. This is because the multi-purpose synthetic hair come in different colors and can easily diversify into local and international hairstyles. It is important to note that many Nigerian women do not have long hair, hence the reason why they are keen to attach the synthetic hair to their natural hair. The artificial hair is mostly preferred by the women because the weather in Nigeria is not always friendly with the hair, causing so much heat on the head and thereby putting the hair in unfavorable condition. "On every head we use the artificial hair, we charge more compared to what it takes to work on a natural hair," the hair weaver explained. "Some people come to make natural hair and pay more, depending on the hairstyle and the time it will consume. It is the artificial hair that looks more beautiful because when people come here and make natural hair they will say they can not open it at work or cannot take it anywhere as they would end up covering it because it is not beautiful enough for them. But when they use attachment, they open it anywhere, even at their places of work and it makes their beauty to come out very nice," the hair weaver explained. Nigerian hair weavers have creatively given different names to different local and international hairstyles, depending on the origin and the statement the hair makes. According to Esther Babatunde, an Abuja-based hairstylist, most popular hairstyles among Nigerian women include Twisting, Two Steps, Clapping and Suuku, which originated from local hair- weavers in southwest Nigeria. Other hairstyles popular among the women in all parts of the West African country include Eleven Braid, One Million Braid, Feathers, Two-side Clapping, Suuku Ologede and Suuku Owo Ni Faari. "We also do foreign styles like Ghana Weaving and many more because foreigners come here and we have to do it for them," Babatunde said. To mix artificial hair with natural hair, local hair braiders or weavers usually spend at least two hours to make their customers look good. And the customers - not minding the huge amount spent to look good - are always willing to endure the time spent. "This particular hair that I'm fixing will, if I'm not mistaking, take about three hours to be completed. It's worth it because I know that I'll look good at the end of the day. I usually spend nothing less than 8,000 naira (more than 50 U.S. dollars) on my hair," Jessica Tebez, a computer operator patronizing a local braider, said. Meanwhile, after being used, the artificial hair damages the natural hair a lot and many women still feel bad about this, according to Madam Bridget Idowu, managing director at L'amour Beauty Salon in Nigeria's southwestern state of Lagos. And large number of the male folks in the West African country seem to appreciate the artificial hair worn by the women because beauty, they say, is in the eyes of the beholder. "They (women) definitely want to look good and not for themselves alone but all ladies want to look good so they can be attractive to the men. But, of course, as a Nigerian and Muslim, I prefer a lady wearing her natural hair," said Jubril Yusuf, a businessman. Another Muslim faithful Abdulwahab Sani, who is a professional photographer, said, in Islam, it is not permissible for a lady to wear artificial hair because it defeats the purpose of the human natural hair. "There are other styles that you can do with your natural hair which really have nothing to do with fixing weavon. The industry is large, it depends on how innovative, how creative and how dynamic you want to look at it," he argued. In his opinion, however, Iginus Augustine, a public transport operator, said he prefers the artificial hair because it brings out the women's beauty. Even when you are wearing your natural hair, it is still fashionable to tint it just to make you look different from other ladies, argued Uche Ude, a business woman. "I primarily wear it to change my looks," she said, explaining the reason why she tinted her natural hair to golden color. As the Yuletide season is drawing nigh, it is obvious that more Nigerian women will spend a fortune just to look good while the local hairdressers and the international manufacturers of the synthetic hairs that are being used will be smiling to their banks again. Add a few drops of lemon juice to freshly prepared coconut milk and mix well. Keep the glass of coconut milk and lemon juice into refrigerator for a few hours. A thick foamy layer will appear over the glass, which needs to be applied on the scalp and entire length of the hair right away. Steam your hair for 15-20 minutes after this and follow it up with a wash. Repeat this process regularly to get straighter hair. Crush a few fresh celery leaves and mix them with a little water. Squeeze it to extract the juice and store it in bottle. The bottle has to be left unused for at least a day, so as to allow the juice to develop properties and effectiveness for straightening. Using them regularly, preferably in the morning, before bath will help in straightening hair. Massage it well on the scalp and leave it for 15-30 minutes, prior to washing it off with a shampoo. Castor oil is known to have hair growth and hair straightening properties. Massage the oil on the scalp, along your hair strands and then comb your hair properly. As you comb, blow dry your hair, which has been separated into sections, on high heat. The hair should feel dry and not oily after being blow dried. When done, wrap it with a chilled towel and leave for half an hour. It will soothe the hair from excessive heat and will restore the straightness. This combination is something that people have seen in salons and spas. This can be done at home too! Get a hair dryer and a good hair brush, which will stretch and hold your hair firmly in place. Comb your wet hair and while it is still wet, use hair brush to stretch a section of hair by rolling it in end and then blow dry it. Repeat the process for other sections of wet hair till dry. When you're looking for a new hairstyle to try, your hair texture, features, and face shape should all factor into your decision. You may covet your friend's pixie cut or your sister's cascade of beachy waves, but what style will look best on you? Whether your hair is coarse or fine, curly or straight, there's a style for you out there that will make heads turn. Keep reading if you want to know how to find it. Choose a cut that will compliment your face shape. Generally, a good rule to follow is that you want your hair to be in opposition to the shape of your face. For instance, if you have a square face, you should balance your sharp angles with soft layers or waves. Determine your face shape. Knowing your face shape can help you make confident and informed decisions about which hairstyle to choose. To figure it out, pull or comb your hair completely away from your face. Stand in front of a mirror so that you can see your face straight-on, and not at an angle. Use a tube of lipstick, the corner of a cube of cold butter or anything else that's easily washable, and trace around the edges of your face in the mirror. Round faces are characterized by smoothly curved lines and a round chin. The forehead and chin are both a bit wide, with slightly wider cheekbones. Try hairstyles that fall just below the chin, like the long bob, or soft, adapted layers that are shoulder length. Avoid one length, blunt cuts like the classic bob. Square faces feature a wide, angular jaw, wide cheekbones, and a broad forehead. Experiment with curls, or long, sleek cuts with layers that begin from the jawline and downward. Steer clear from blunt-cut bangs and one-length bob hairstyles which highlight your angular jaw rather than downplay it. Oval faces are similar in proportion to round faces, but more elongated. The chin and the forehead should be about the same width, with slightly wider cheekbones and smooth lines going down to the chin. An oval face shape can usually sustain any sort of haircut. Find your best feature and highlight it with your hairstyle. Great bone structure? Consider an angular bob that complements your chin. Gorgeous eyes? Blunt or side-swept bangs will draw attention there. Heart-shaped faces are defined primarily by a pointy, narrow chin and a wide forehead. The cheekbones can be about the same width as the forehead or slightly wider. Draw attention away from the chin with side swept bangs or brow-skimming bangs. A short fast cut is also a good choice. Avoid choppy layers that hit at the chin. Triangular faces are the exact opposite of heart-shaped faces - a broad, angular jaw narrows to a small forehead. Short haircuts with a lot of volume are ideal for triangular faces. You can also choose a long cut, as long as it hits at your collarbone or lower. Diamond faces feature broad cheekbones, set off by a narrow chin and forehead. Try to create width at the forehead with bangs, and balance it out with layers that start at the chin. Long faces maintain the same proportion throughout - the forehead, cheekbones and chin share about the same narrow width. Brow-skimming, side swept bangs or chin-length bobs are ideal for creating the illusion of width. Curls and waves also work well when adding width. Keep haircuts short, never long because they tend to drag down the face. Pass up extreme styles and cuts that are longer than the collarbone. Pick a style that works with your hair's texture. Hair comes in a variety of textures - from limp and silky thin hair to frizzy and bouncy coarse hair - and you should style yours accordingly. For instance, a short and choppy fast cut that works on straight, thin hair won't look good on someone with thick and curly hair. Here are some general guidelines. If you have thin hair with a silky texture, avoid wearing it in a long, blunt style that can make you look childish. Instead, favor volume-creating layers and try a shorter cut that hits at your shoulders or above. Never blunt cut bangs, and opt instead for a side swept look. If you have thick, coarse hair with natural curl or wave, don't cut it too short - you'll end up with "Christmas tree" hair that's full and bushy at the bottom before tapering up to the head. Hair that's prone to frizz usually needs a little length to weigh it down. Consider cuts that start at the chin or below, and go longer if your hair is frizzier. If your hair is of medium thickness with a "normal" texture, you can elect a short or long style. Play up your strengths. A good haircut should direct attention to the things you like about yourself. Ultimately a haircut should make you feel confident and attractive, so use it to your advantage. For instance, if you love the length of your neck, try a short haircut or a high updo. To draw attention to your eyes, get brow-skimming bangs. Cover flaws. The right haircut can help you hide or downplay features you don't like. If you have wide ears, avoid a cut that's too short as well as severe ponytails and buns (or, for men, wear the sides a little longer to create the illusion of comparable width around the ears). If you have a broad, deep forehead, you can cover it up with bangs. If you dislike the length of your neck, hide it with long layers. Think about maintenance. Consider how much time you're willing to put into your hairstyle every day. If you don't like spending more than 5 minutes, then you might not be happy with several layers that have to be straightened or curled each day. Remember that for a short look, you'll have to get another hair cut every 3 or 4 weeks to maintain the length. Longer hair, on the other hand, can go up to 6 to 8 weeks without a trim, but special attention must be paid to avoiding split ends and heat damage. Add some color (optional). Coloring your hair can be extremely high-maintenance, but it can also help even out your skin tone and improve your look. Selecting the right shade and tone can be tricky, so consult your stylist about which color would look best on you. Put it all together. Now that you've evaluated face shape, hair texture, facial features and maintenance, choose a hairstyle that will work for you on all points. Even today when different kind of hair and hairstyles have flooded the market, many ladies aren't still sure which length of hair soothes them most and will bring out their body features the more. Provided you're at peace with your hair's texture — that is, you don't spend hours blow-drying or curling — long locks can look great even when you don't have time to do more than shampoo and condition. And if your hair doesn't dry to your liking, you can always tie it back. "Bad, nasty hair worn long is unattractive, period," says star stylist Danilo, echoing a sentiment shared by all the stylists interviewed for this story. "This type is definitely sexier longer," says Hershberger. "The weight actually keeps it from puffing out," adds Lorraine Massey. Have strong features — or a big body. "Long hair softens a strong jawline and diminishes facial roundness," says Blandi. Similarly, long hair balances out your proportions if you're tall or big-boned. Because women tend to go progressively shorter as they grow older, Oribe advises his 30- to 50-year-old clients to keep their hair on the longish side — at least around shoulder-length, which is universally flattering. "Why do what everyone else is doing and end up looking like an old lady before your time?" "Anyone with a petite mouth and nose looks great with short hair," says Sally Hershberger. That said, those secure enough to call attention to their less-than-perfect ears or nose can also pull it off. "Flaunting a quirk is very modern," says Oribe. If your hair grows more than half an inch a month, you could end up in the stylist's seat as often as every four weeks to maintain your short look, says Oscar Blandi, who once cropped Katie Holmes's hair. Short hair also requires extra work on a daily basis, explains Oribe. "You need to be willing to 'do' your do every morning." "After a big haircut, most women get an entirely new attitude. It's empowering to get rid of all that hair. It's like finally putting away the security blanket," says Laurent D.
While long hair is like black clothing — it's nice, but others forget about it the day after you've worn it — short hair is more like a red dress: a style statement that gets you noticed and remembered. "If you like to change your color and texture often, short hair's a great option, since you can just cut off the damaged portions as it grows," notes Hershberger. 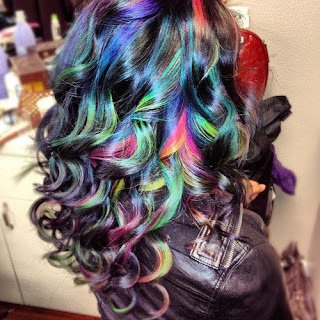 For those of you who like to experiment new things with your hair, chalking your hair may just be exciting for you. You don't have to worry because it's an inexpensive way to add temporary colour to your hair. Hair chalking is an easy, quick and inexpensive way to add temporary color to your hair. Go to any hair shop where you can buy inexpensive non-oil-based pastels. All you need other than the chalk is a water bottle, protective gloves, towels and a flat iron. Make sure to wet the hair first so the color will attach to it. Apply to the chalk to the strand of hair in a downward motion, twist the hair as you chalk. You can try for a fun ombre look, or just do a couple of strands. You can either blow dry your hair or air dry so that you don't blow off the chalk. The color generally will only last one shampoo. However, if the hair is more porous, such as color-treated blonde hair, it can last a couple shampoos. You can use a clarifying shampoo or dish soap to remove the color more quickly -- both have more detergent. Don’t use dish soap on your whole head, just on the strands that have been colored. Don’t apply the chalk with any wax or product in your hair. Don’t use water on blonde hair if you don’t want the color to last. Wear protective clothing when applying and sleep on an old pillow case as the color will transfer. Don’t try this near the water/beach or on a rainy day. For those with darker hair, choose blues, pinks, reds and greens. They show up more vibrantly than lighter colors. Do not buy oil pastels; they will stain your hair! Start with clean hair and section off the bottom half, securing the top half with a clip. Take a small section of your hair (the width of a pencil) and twist the hair. Mist the section with a water bottle (if you have light streaks or ends, do not moisten hair because it will stain). Take your soft chalk pastel stick and rub over the section while twisting the strand back and forth. If you are using multiple colors on your hair, start with the lightest color first and then add the darker shade for a fun, multicolored look. Repeat over as many sections as desired. Let down the top section of your hair and chose sections of hair that frame your face and repeat the process. To get the color to stick around, you need to set the chalk. To set the color, run a flat iron or curling iron through your hair, then spray with a light hair spray. Do not use any oils or creams in your hair afterward; they will cause the chalk to become sticky and messy." Be creative after chalking your hair! Style in a messy bun or braids to show off the vibrant colors! To remove color from your hair, brush through the strands using a bristle hairbrush. Next, wash hair with a cleansing conditioner to replenish the moisture that was taken out by the chalk. Braids have come a long way and they have indeed come to stay. It fits just anyone so long as you can sit for as long as it will take to make the exact size you want. Beauty shouldn't hurt. But what happens and what should you do when you find out that the hair which you paid so much for and sat for like a day or two for hurts so much. Some braids can even cause headache! Remember, when your braids are too tight, it pulls on your hairline and causes it to break. Some braiders may tell you to take an aspirin and the pain should be gone by morning, but any pain is an indicator that something is wrong. A braider may even braid tightly so that the style lasts as long as possible, which is what most of us want, especially if we've saved up our hard-earned naira to get the style, but that's not good at all. 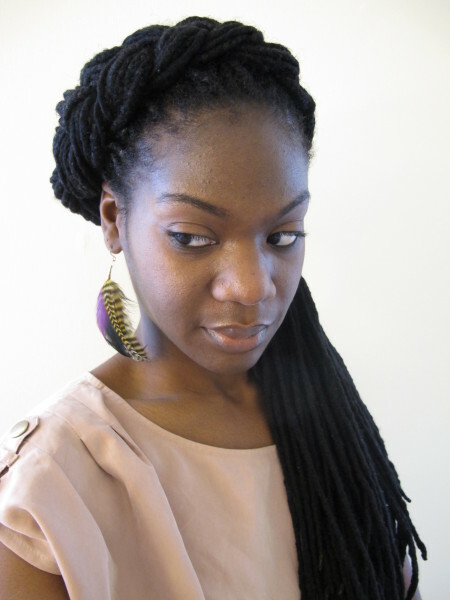 If you're a victim of headache-inducing braids, what can you do? Use warm water to loosen them: Pour some water over your hair so the braids take in water. You may need to gently rub your scalp to loosen the braids a little. This is not the time to worry about how much money you just spent and how much time it took to style these braids. Concern yourself with loosening up this tight style and saving your hairline. Remove the braids that are causing your scalp to hurt because it can lead to hair loss. Do yourself a favour and see how your head feels when you're still in the stylist's chair. Does it hurt while she's braiding? That's the time to ask her to ease up on your hair. Even if she'd already past that hair, you should ask her to redo the tight hair on the spot than going back to complain later. Do not return to tight braiders: Once beaten twice shy. Just one experience is enough to convince you she doesn't care about the health of your scalp.